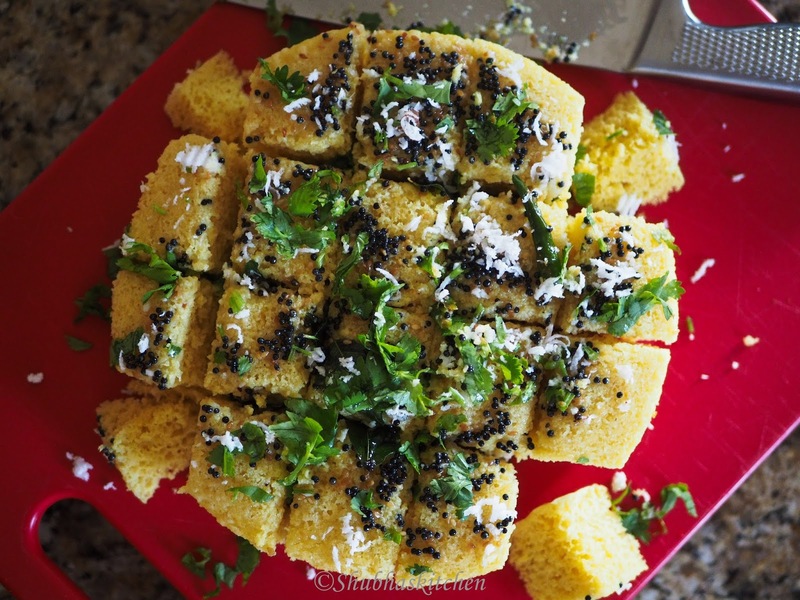 Khaman or even known as Khaman Dhokla is a popular Gujarati snack. I favor this one over the khatta dhokla. 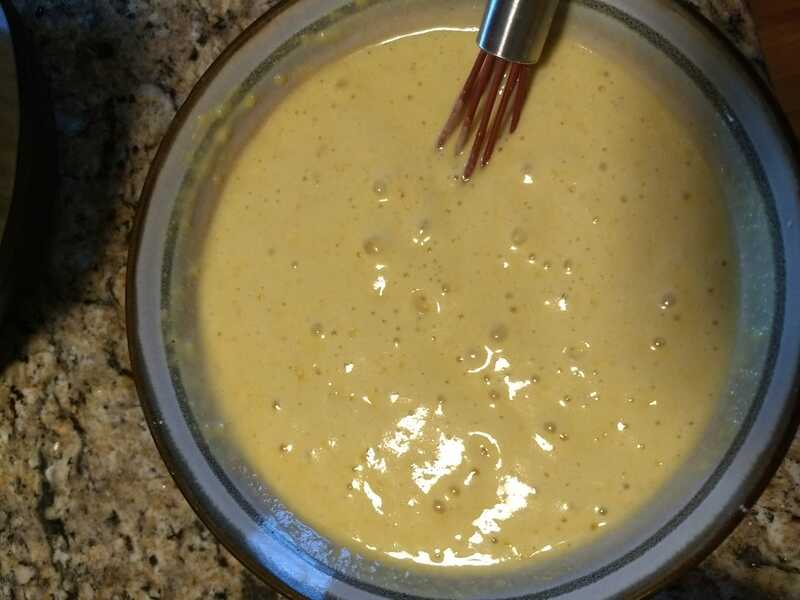 Normally , I prepare it from scratch (Recipe here). 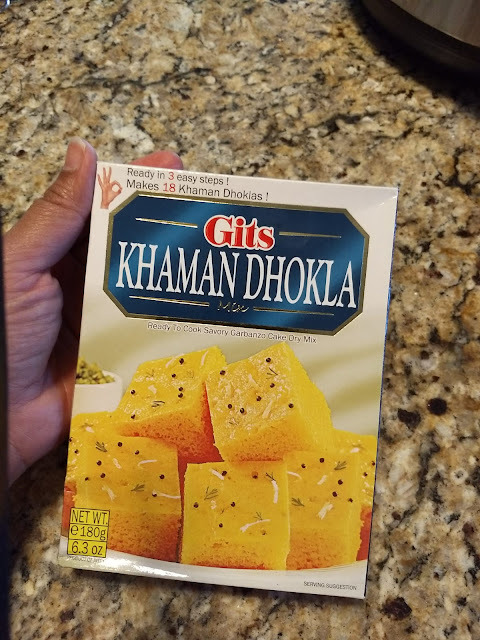 But on some busy days like the past weekend, I prefer using ready made Dhokla mix from GITS. This is my preferred brand. 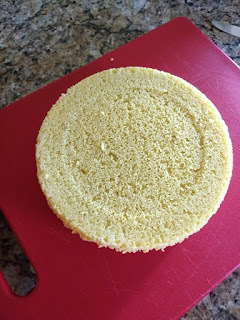 So, I would call today's post "semi-homemade" :) Mix from outside but prepared at home:) The only new thing I tried this time is I steamed it in an Instant pot rather than in the traditional pressure cooker. Place a stand in the steel vessel of the Instant pot.Add 2 cups of water to the steel pot of the IP. 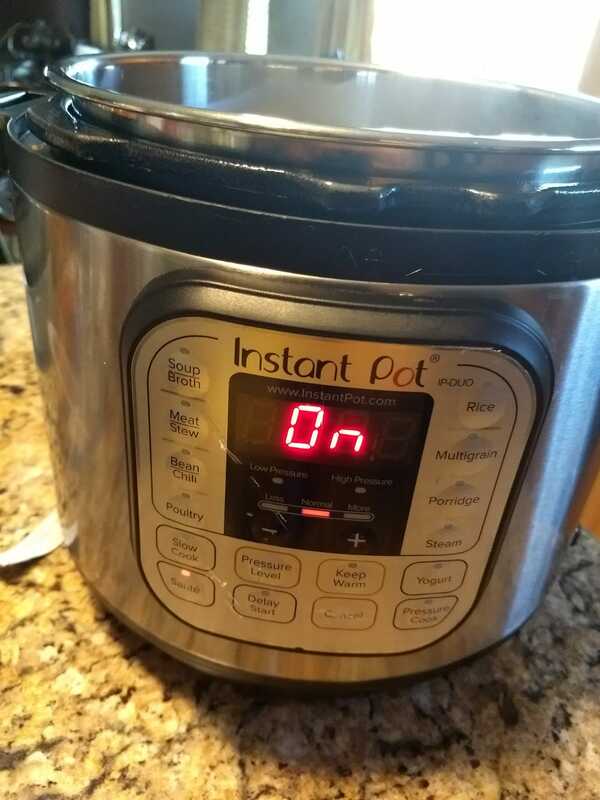 Start the IP in the "saute" mode. 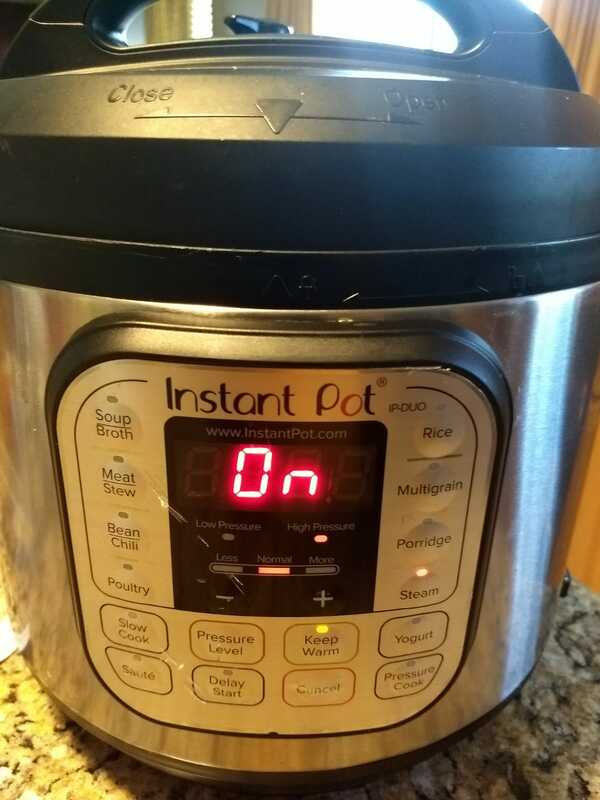 Once you see the water has heated , turn off the IP. To prepare the dhokla , we follow the package instructions. Take oil and water in a mixing bowl. 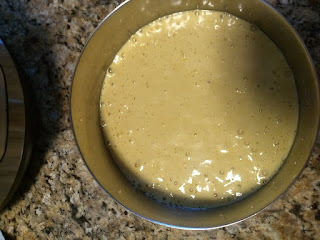 Slowly add the dhokla mix and mix gently until everything is well incorporated (Remember not to mix the batter too much as it leads to harder dhoklas). Grease a wide steel vessel (I used the wide vessel that are provided with the standard pressure cooker ). Pour the batter into the greased vessel. Keep this vessel over the stand in the IP. Close the Lid of the IP. Keep the valve in the venting position. Press the STEAM button of the IP. 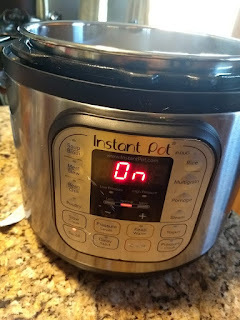 Once you see the steam starting to come, set an external timer to 15 minutes. 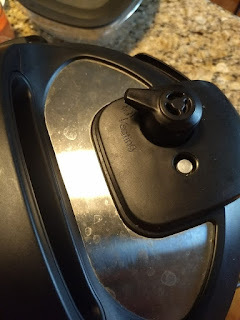 As I mentioned in my post of RAVA IDLIS, when using the steam option with the valve in venting position, the timer in IP doesn't work.Once done, turn off the IP. Wait for a 10 minutes and then open the lid of the IP. 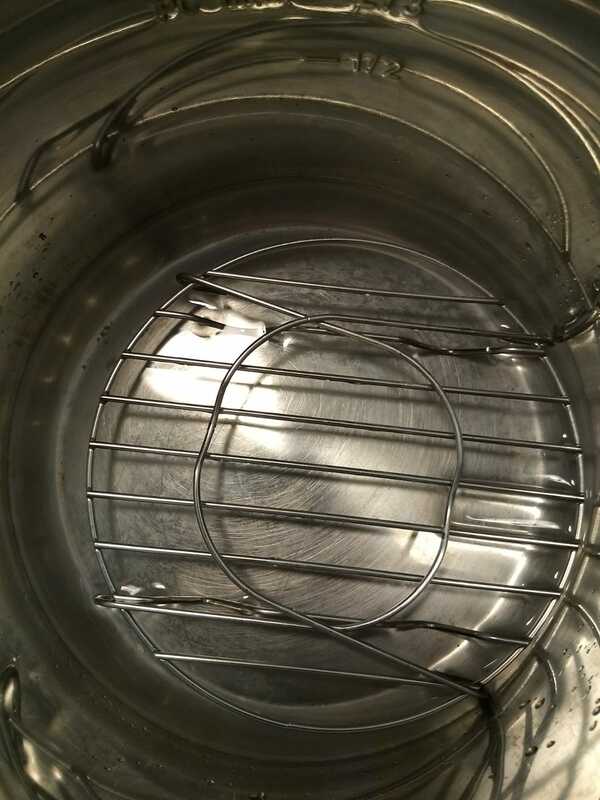 To check if the dhoklas are ready, insert a toothpick in the center. If it comes out clean, then dhoklas are ready. Else steam for few more minutes. 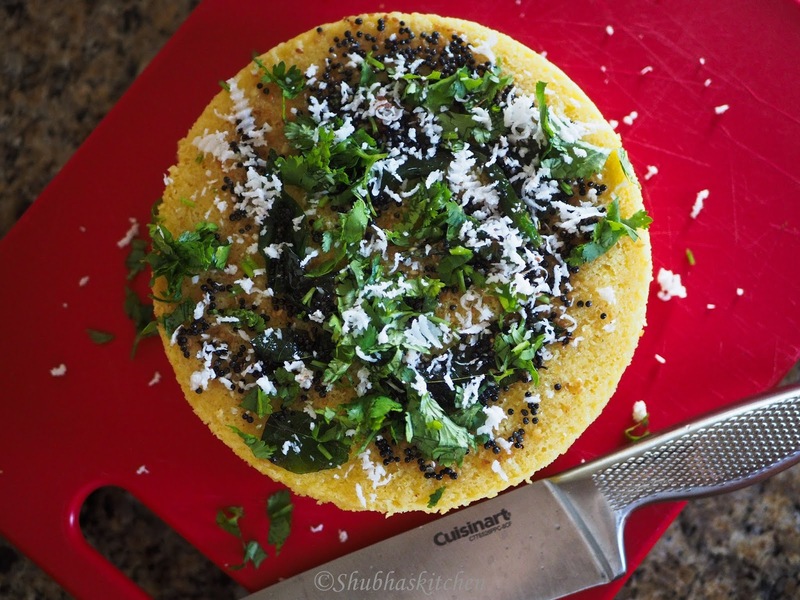 Once the dhokla has cooled , run a knife along the edges and place a plate on top of the dhokla vessel. Invert. 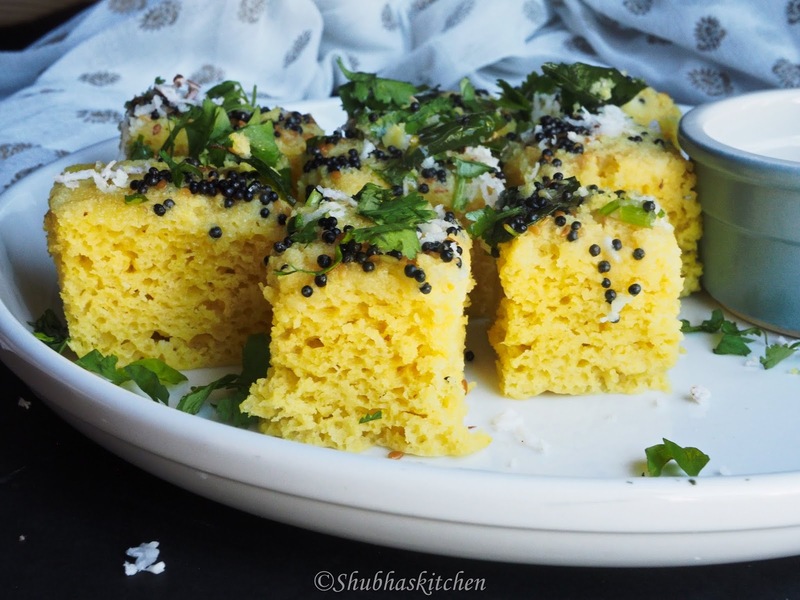 The dhokla should easily fall into the plate. To prepare the tempering, heat 2 tbsp of oil. When hot, add the mustard seeds. When the seeds start to splutter, add the asafoetida, curry leaves and green chillies. Lastly, add the sesame seeds. 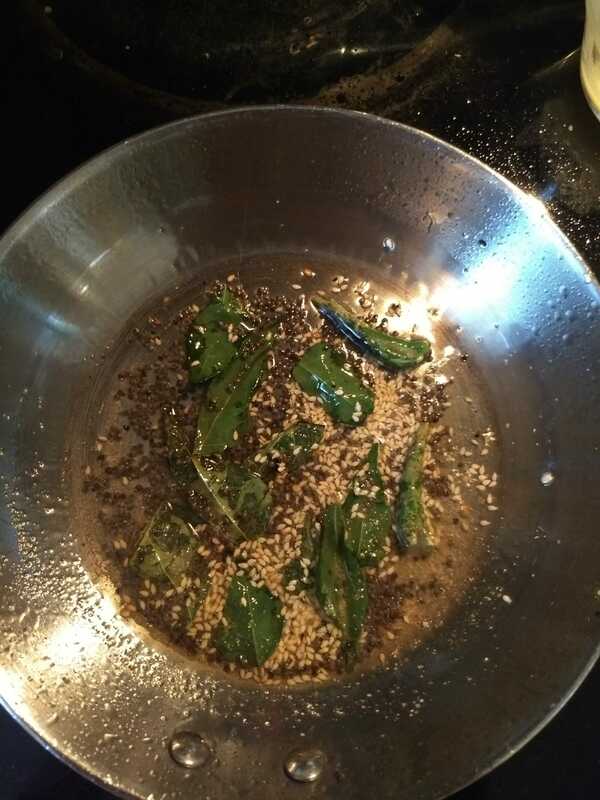 When the sesame seeds slightly change color, add water and sugar. 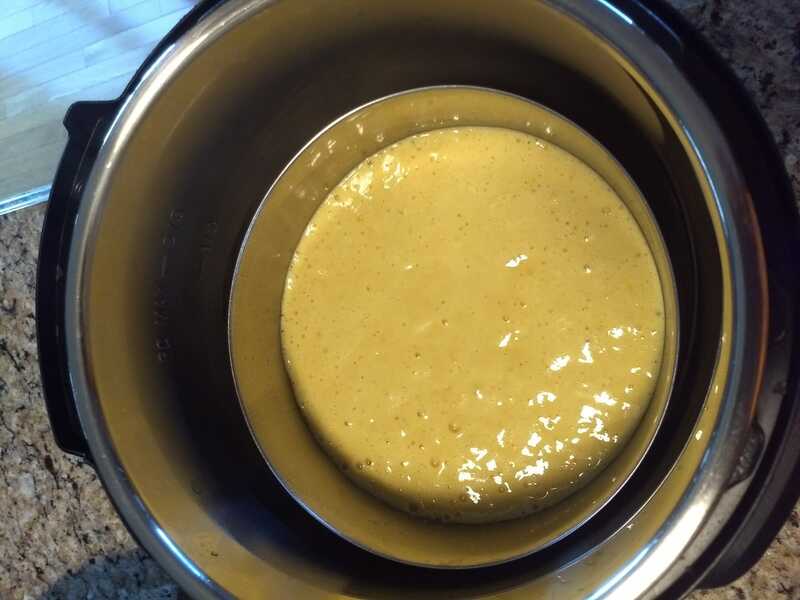 When the water -oil mixture starts to boil, turn off the heat and add the lemon juice. 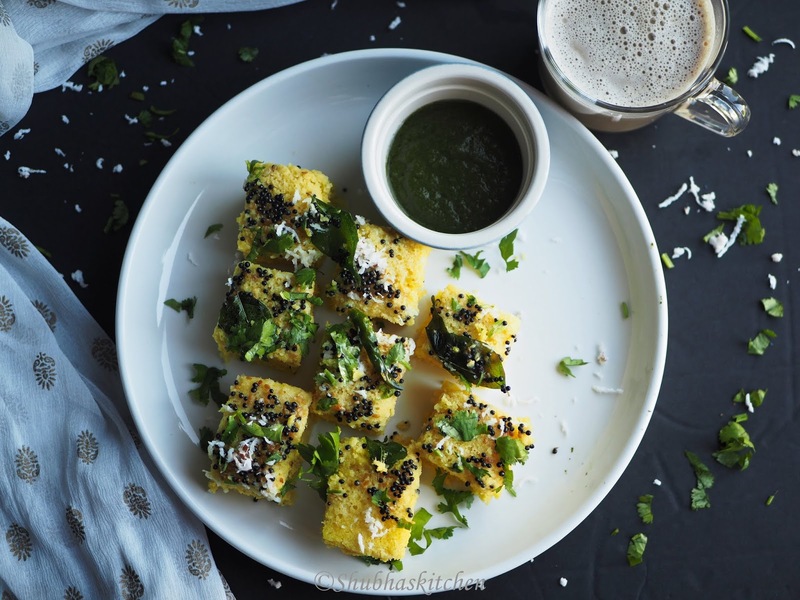 Add the tempering or tadka to the dhokla . 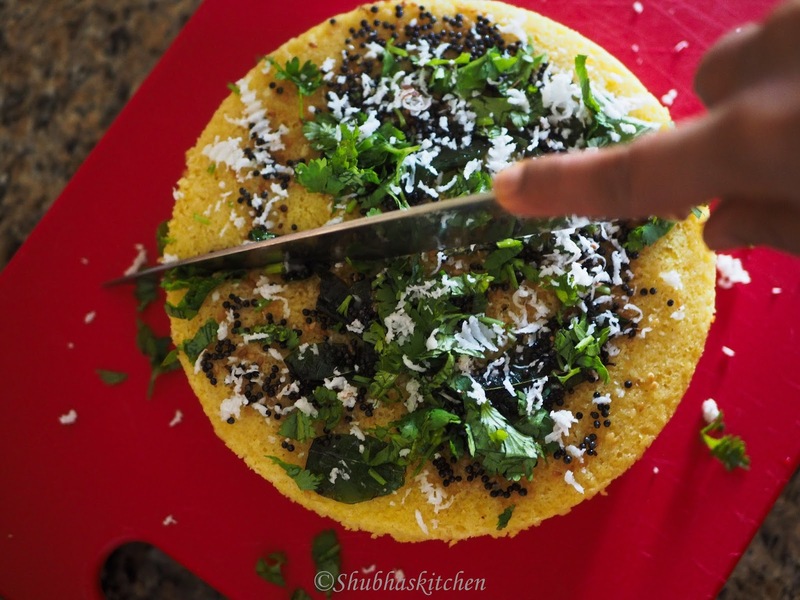 Garnish with cilantro leaves and freshly shredded coconut. Cut into pieces. Serve with cilantro chutney. Add the cilantro and coconut just before serving. 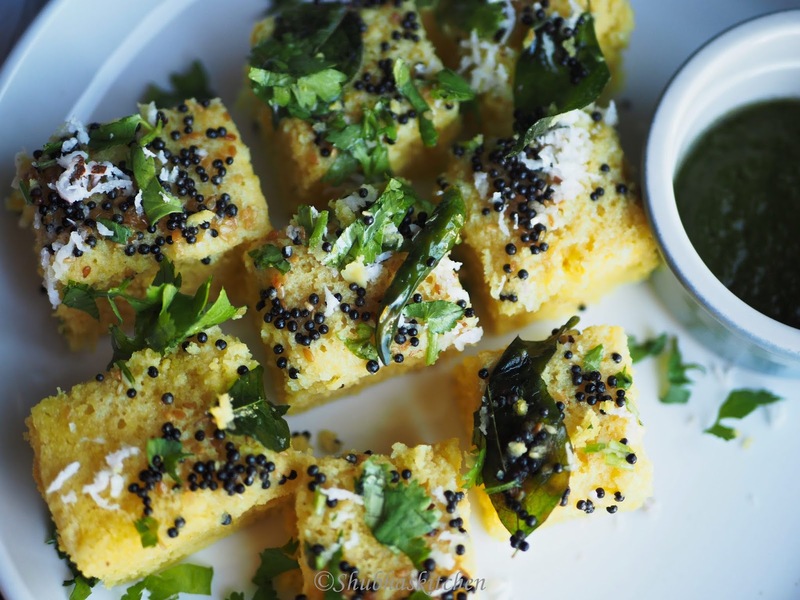 If you are preparing dhokla in advance, then proceed till adding the tadka part. Later when its times to serve, sprinkle some water and heat it in a microwave, garnish with cilantro and coconut and serve.